There are several types of online businesses, but no matter which type of service you offer, the following ways can be effective in promoting and marketing your business. Regardless of the type of business, positive reviews are very crucial to the success of your business. You can get customer feedback by asking your customers to give online reviews (in your review system) or review your business in other trusted review platforms that are related to the business, such as trustpilot, yelp, facebook, bbb and many others. If you want to make sure that the reviews will represent your company in a good light, see to it that you display politeness and professionalism in your interactions with your customers and address any concerns that they may have. Doing so will show people that your company genuinely cares about your customers and their opinions. It is also recommended to establish presence on several review sites where your business name and contact numbers are also listed. Employing local SEO techniques can be considered a very effective way for location-limited businesses to connect with potential customers around the area. The most important things that you need to do is to make sure that your business name, contact numbers, and address are shown in a noticeable area on your company website. It is advisable to display this valuable information on the header of all your pages. Additionally, you have to check that the abbreviations, spellings, and other technical components of your contact information are consistent anywhere on the Internet (Google+ page, Facebook Page, Yelp profile etc). Moreover, you have to include your location (City, Town) in your URL, sales copies, and content to enable people to find you. Many of the small businesses dedicate all their efforts on organic search rankings. However, you should realize that PPC or pay-per-click advertising is also a reliable way to promote and market your business. SEO takes time and does not generate good results overnight but it may require some time (months or even years) for SEO to start bringing in some serious traffic. So, if you have just started your SEO, you might want to engage in paid search advertising to start bringing in immediate traffic to your site. Even after your SEO efforts are already bringing in positive results to your business, pay-per-click can still be a good supplement to your SEO strategies. If you are new to PPC, read these 7 PPC Tips to get started in the right direction. Another thing to keep in mind is that you need to make sure that your PPC ads (and website) need to be optimized for mobile devices to have a wider reach to potential customers. There are ways to use social networks to promote your ecommerce business besides the standard social media marketing you are probable doing now. For example, you can use Facebook local ads that allow you to geotarget your ads and give discounts and special offers to loyal customers through your business Facebook page. In addition, you can also take advantage of Twitter location search. The advanced search feature of twitter is especially useful because it has the location option included. By utilizing this function, you will be able to identify people within your area who are tweeting about certain topics that are relevant to your business and you can easily connect with them. There are also other sites (besides the big four: FB, Twitter, G+, LinkedIN) that you can use in your social media marketing such as Foursquare, Yelp, which allows people to rate your business and leave reviews or tips. It is important to stay active on sites like this because they are surely beneficial to your business. By writing quality content, you will be able to demonstrate your expertise and will lead people to trust your company more. Additionally, you will also be able to provide valuable information about your products and services and promote them. When high quality blog posts are combined with local social media marketing and SEO efforts, your company blog can be a powerful tool for the success of your business. Looking for the Best Cloud Server Hosting and Support – Then contact KnownHost, the Industry Leaders. The different strategies mentioned in this article are proven to work and it is the new way of marketing a business. However, there is one last effective strategy that was not mentioned earlier, which cannot be accomplished online—meetups. Although online marketing poses a huge opportunity for you to promote your business efficiently and conveniently, going out to talk to potential customers about it in real life is also a reliable way that should never be forgotten. Your marketing options are endless, it is just up to you to decide which ones will work best for you and which ones will your budget permit. I am happy to wear an article of great value! 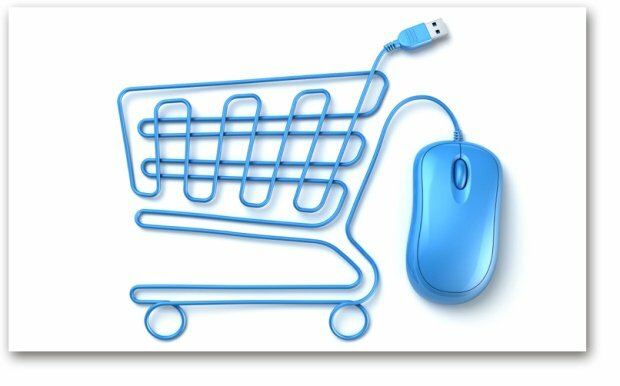 I have an e-commerce business, how can I get a visitor to my site? And how can I sell the good amount? I really appreciated this article, and even read it twice! Thank you for the clear and concise breakdown of strategies, I will take note of this in my own work.